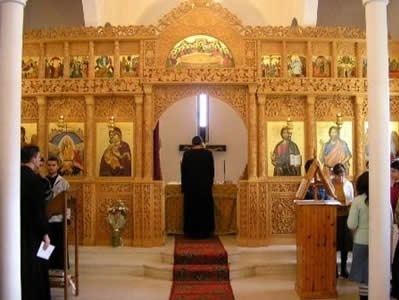 At the invitation of His Eminence Archbishop Anastasios we will again be meeting in the wonderful setting of St. Vlash monastery on the hills above Durres. 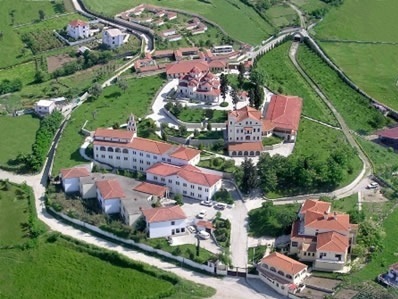 St. Vlash also houses the Theological Seminary of the Albanian Orthodox Church but students will be on vocation at this time. All participants will be housed in spacious rooms on site (almost certainly all in single rooms although we may need to ask a very few people to share if numbers require this.) Towels are provided in rooms but please bring your own toiletries. All meals are also served on site and we will be meeting in the monastery auditorium and in several smaller seminar rooms. All participants should be met at the airport and driven to the monastery but just in case you need to get there by taxi the address is simply “St. 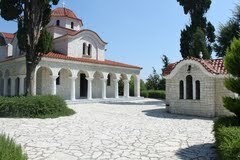 Vlash Monastery, Durres” and it is situated just off the main road from Tirana to Durres. Wireless internet connection is available for participants (free of charge) in several areas of the monastery but it’s use is strongly discouraged during working sessions.